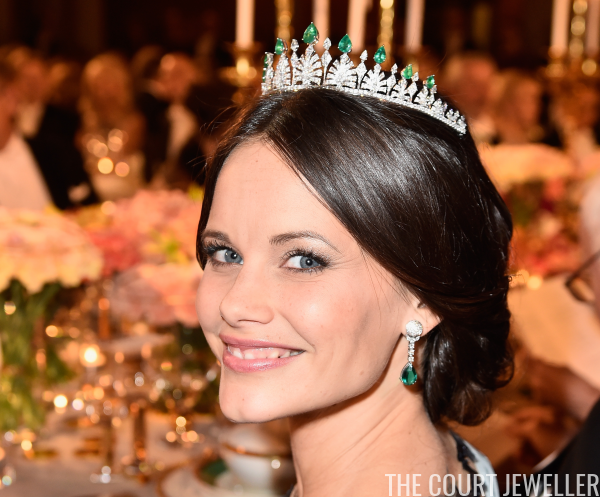 Princess Sofia of Sweden received this diamond and emerald palmette tiara from her in-laws when she married Prince Carl Philip in 2015. 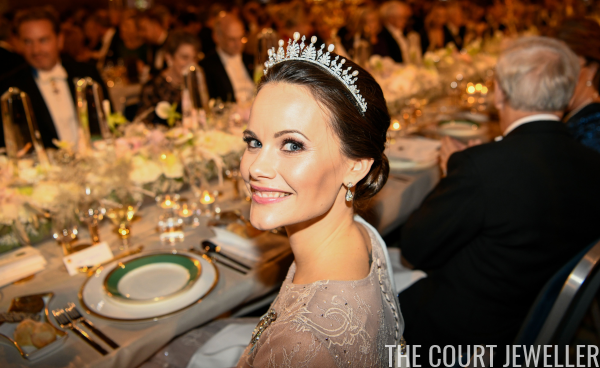 The tiara, which was originally a necklace from Queen Silvia's collection, was originally a closed piece that perched atop the wearer's head. But at the end of 2017, Sofia debuted a new configuration of her tiara, which is much more open and forms a kind of halo around her face. 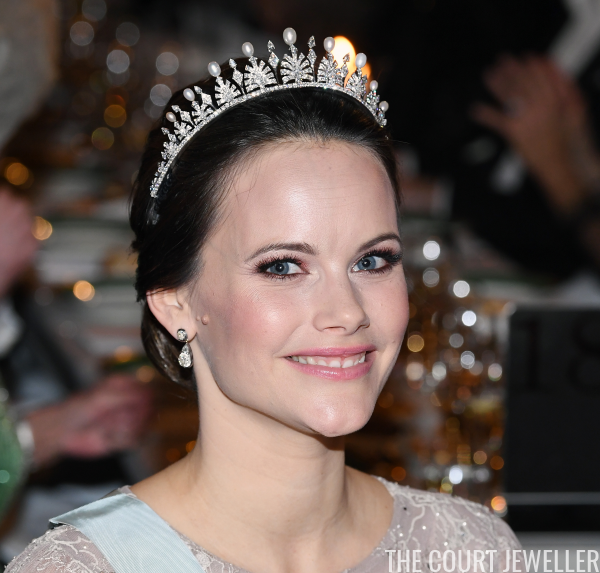 Even better, the tiara can now be worn in at least three settings: an all-diamond setting, a pearl setting, and an emerald setting. Magnificent!